Hey there—It’s Kate, owner of Sky Trading Co. with my next edition of Sky’s the Limit: a blog of Q&A-style interviews featuring women entrepreneurs from Columbus, OH. I’m hopeful that their stories will inspire you to live fearlessly. Enjoy! For those that don’t know, can you describe what Cheer Up LetterPress is and what services you offer? 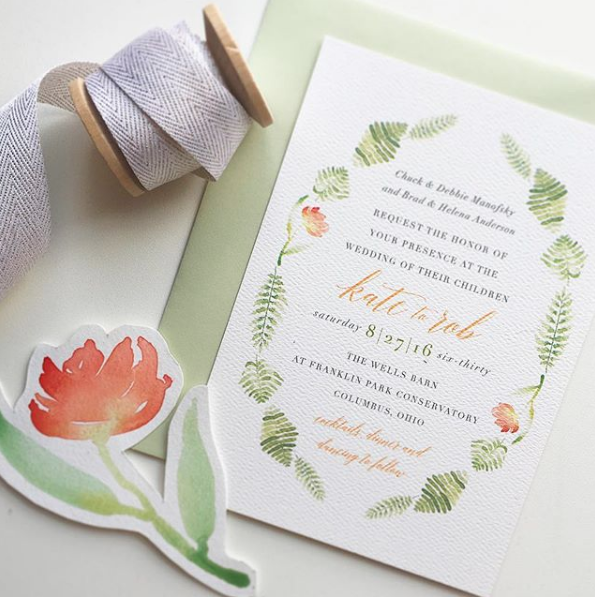 Cheer Up Letterpress is a wedding invitation design and printing business. 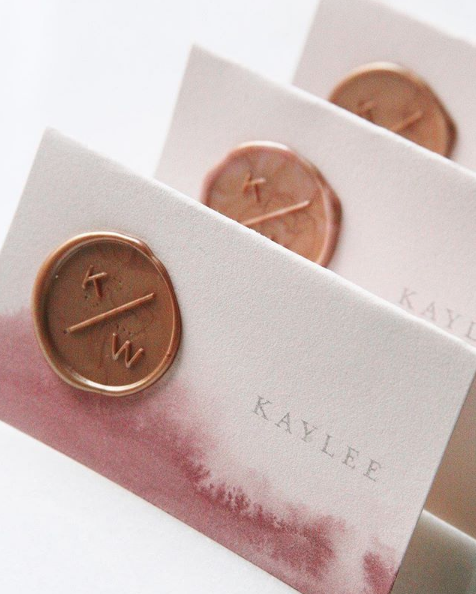 My specialty is letterpress printing, which is an antique form of printing that dates back several centuries, but has made a resurgence on wedding invitations and artisan-type products. How did you discover your passion for paper goods, design and illustration? I studied graphic design in college, and I’ve always enjoyed art and creating things. I knew after I graduated from college that paper was the direction I wanted to take. At the time, my dream job was working for Hallmark, but I worked for Kroger setting copy for their advertisements right out of college. During my downtime, I did design work and started an Etsy shop. It’s changed a little bit over the past couple of years. I used to have an Etsy shop, but I was able to close it because I work with more local brides and all my orders are custom. 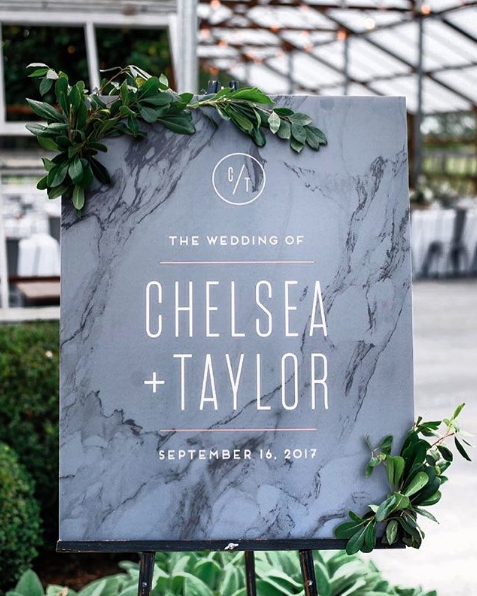 Typically, I will invite people to my studio, we’ll talk about their wedding inspiration and what they want. Then, I’ll send a quote and start designing once the quote is approved. I’ll create a few different design concepts and my client will provide feedback. It’s a very hands on, involved process. Working with my clients on their design is a very rewarding part of the process, and I want to make sure my clients love what I’ve created for them. Once the mock up is finalized, we print. Printing usually takes two weeks to a month depending on how we print (digitally or via letterpress). What do you think makes Cheer Up Letterpress unique? I have the letterpress and not a lot of people can say they letterpress print in-house. I’m in-between a boutique wedding shop and a print shop. 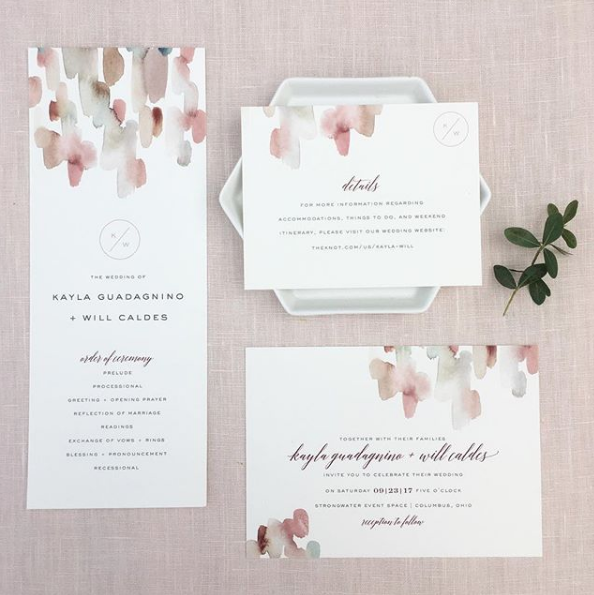 I like to say I am a print shop and I am a designer—it’s a unique and special experience for my clients. 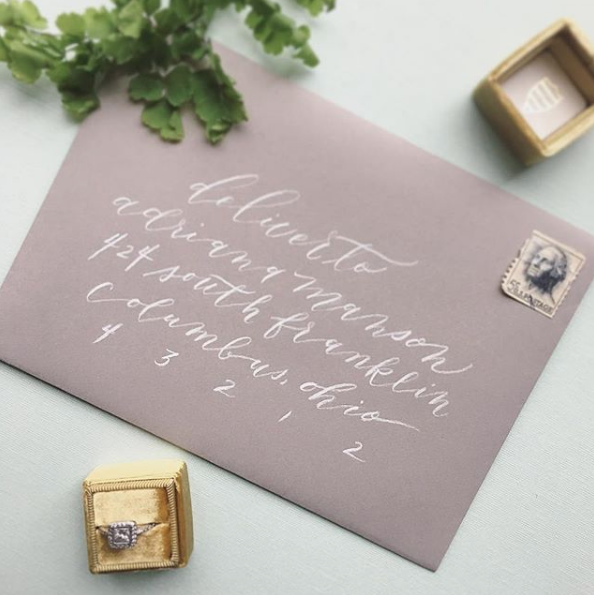 What advice do you have for brides who are just starting to think about designing their invitation suite? It’s important to be yourself and do what you like versus what’s trendy. That doesn’t mean you should ignore the trends, but I think you should think about what you will like in five, ten and 15 years. 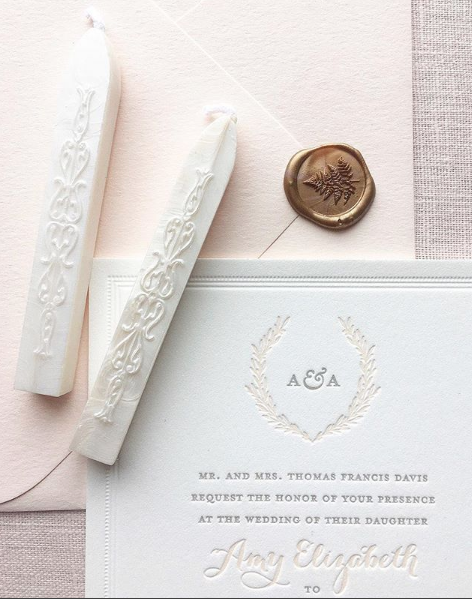 Are you going to look back at your invitations and regret them or are you going to see something timeless? Trust your taste, but keep in mind what you will like in the future. How did you learn the ins and outs of running a business such as pricing products, writing contracts, creating a website and finding clients? I’ve become successful through trial and error, and figuring out what works best for me because I’ve done it. I think people want to be handed the information and that’s not how it works. The best way to figure something out is to try it and learn what’s best for you. How did you fund your business when you were first starting out? I didn’t need upfront money. When someone bought something, I would buy the supplies to complete the project, and paper is cheap. I’ve always used what I have and I have very little overhead costs. I don’t really promote it. Whenever I’ve tried to pay for advertising, it’s never really worked for me. Now that I work with local brides, a lot of my business comes from word of mouth. I have friends who are vendors and they recommend me. Also, a lot of my business comes through Instagram. What were your biggest fears when you first started your business? How did you combat those fears? When I first started out, I had a lot of fear that my clients wouldn’t be happy with the product I was producing. It used to keep me up at night. It wasn’t because the quality of my work because my quality of work is amazing, but when you own your own business, it’s an extension of yourself. It’s a lot of pressure and it’s hard to separate yourself from your business. I talk to the people close to me about my fears and frustrations and that helps. What’s your favorite and least favorite part about owning your own business? The freedom to be independent. I can pick up my daughter or take a day off when I want. However, the ability to be independent also comes along with not having co-workers. I’m by myself all the time, which can be hard. Owning your own business can be a lot of pressure because if something goes wrong it’s on you and only you. Running a business is never easy, what keeps you motivated? I do what I love, so it’s easy. When I’m feeling burnt out, it’s nice to find a creative outlet that doesn’t revolve around my business. For example, every once and a while I’ll paint, I like to garden, and I try to find other creative outlets that I can separate from my business. Just do it, and there’s no such thing as failure because you’ve learned something. There’s always a lesson. What has been your biggest success to-date? There’s been a mixture of a lot of things, not one event, that have made me feel like I’ve made it this past year. Being able to transition into a letterpress printer has made me feel more successful. Moving into my studio space has also made me feel more legitimate and more respected by my clients. I’ve landed a lot of clients because they see I have a physical space. It feels so good to be able to compete with some of the best paper goods businesses in Columbus. 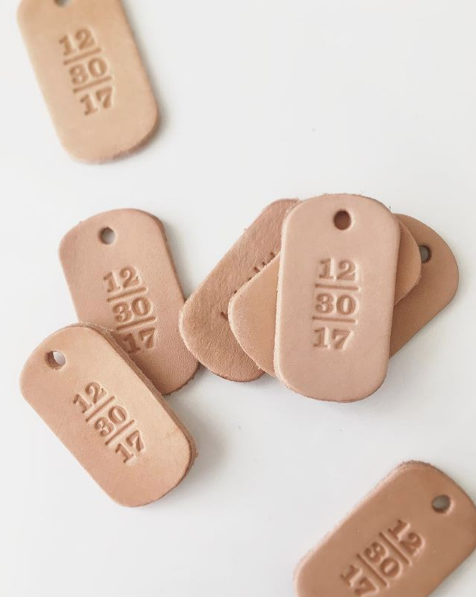 If someone wants to work with you to design their paper goods, what’s the best way to get in touch? Email is the best way >>> hello@cheeruppress.com. There’s also a questionnaire on my website that couples can fill out to contact me and start the design process. Be sure to check out Alaina’s site here and follow her on Instagram here!